This charming island getaway vacation villa features 2 bedroom 2 bathroom villa is located on the first floor. When you first walk in to this villa, you are welcomed by the open kitchen that is fully equipped with everything you will need during your stay. The kitchen is then located right next to the dining room and cozy living room. The master bedroom features a king sized bed with an updated walk in shower. 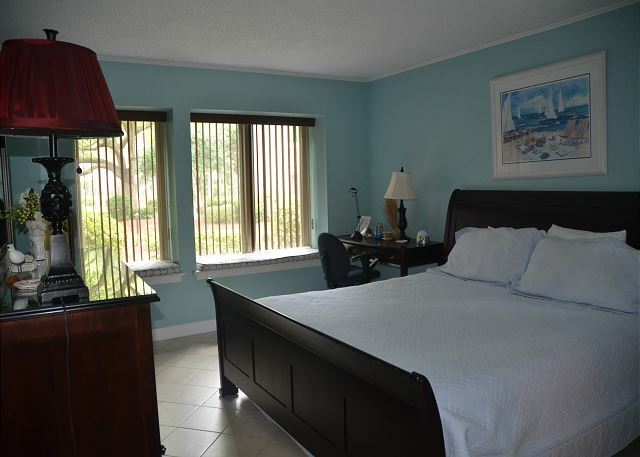 The guest bedroom has a set of twin beds that has an updated bathroom as well. 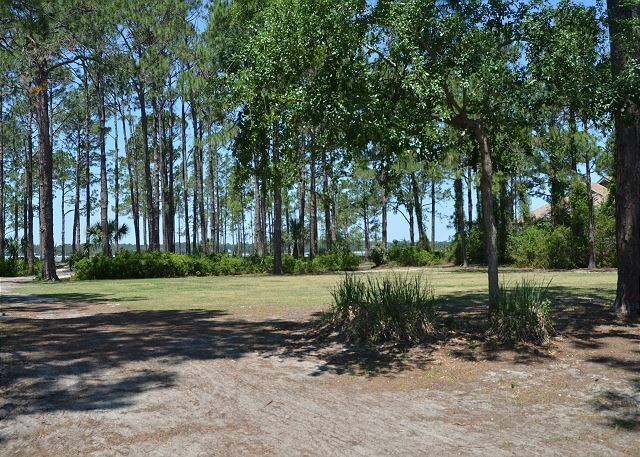 There is a walk-way off the back patio leading to the beach access that overlook the Calibogue Sound. This vacation rental is also walking distance away from the South Beach Marina Village.